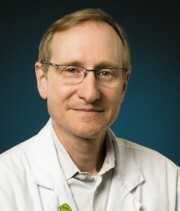 Dr. Herrmann's major contributions to neuroscience research are in the areas of the clinical pharmacology of dementia (treatment of behavioural disturbances and cognition), post-stroke depression and the pharmacotherapy of late-life affective disorders. He has published numerous studies on the pharmacotherapy of behavioural disturbances in dementia that involve the use of novel agents, which attempt to determine the underlying neurobiology of these disorders. He has also participated in studies of post-stroke depression examining its neuroimaging and biological correlates. In addition, he has published studies, reviews and guidelines on the management of depression and bipolar illness in late-life, and has participated in psychopharmacology projects on drug-drug interactions and adverse events. Mohammad D, Chan P, Bradley J, Lanctôt KL, Herrmann N. Acetylcholinesterase inhibitors for treating dementia symptoms: a safety evaluation. Expert Opinion on Drug Safety. 2017. doi: 10.1080/14740338.2017.1351540. Lai KSP, Liu CS, Rau A, Lanctôt KL, Köhler CA, Pakosh M, Carvalho AF, Herrmann N. Peripheral inflammatory markers in Alzheimer's disease: a systematic review and meta-analysis of 175 studies. J Neurol Neurosurg Psychiatry. 2017 Aug 9. PII: jnnp-2017-316201. doi: 10.1136/jnnp-2017-316201. Herrmann N, O’Regan J, Ruthirakuhan M, Kiss A, Eryavec G, Williams E, Lanctôt KL. A randomized placebo-controlled discontinuation study of cholinesterase inhibitors in moderate to severe Alzheimer’s disease patients. J Am Med Dir Assoc. 2016 Feb;17:142–7. Herrmann N, Hogan D, Lanctôt KL. Pharmacological recommendations for the symptomatic treatment of dementia: the Canadian Consensus Conference on the diagnosis and treatment of dementia 2012. Alzheimers Res Ther. 2013 Jul 8;5(Suppl 1):S5. Herrmann N, Gauthier S, Boneva N, Lemming OM. A randomized, double-blind placebo-controlled trial of memantine in a behaviorally enriched sample of patients with moderate-to-severe Alzheimer's disease. Int Psychogeriatr. 2013 Jun;25(6):919–27.